Sweet Peas are very enchanting; its meaning is derived from delicate or blissful pleasure in the language of flowers. They are beautiful and pastel-colored flowers representing a popular wedding flower choice among brides who need light, airy colors for spring and summer weddings. Ours grow on vines bearing five or more delicate, ruffled blossoms per stem. They are carefully harvested at the farm and come in dazzling white, pink, and purple shades that will add an exquisite, old-fashioned touch to your event. They are generally available throughout the year, so order them for vase centerpieces and bouquet accents. 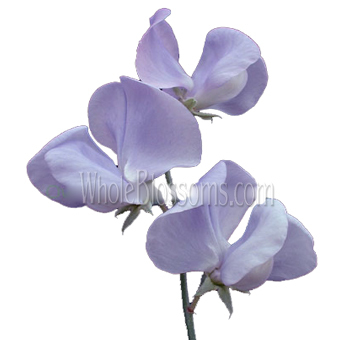 Have you heard of the butterfly-shaped and lovely sweet pea flower? 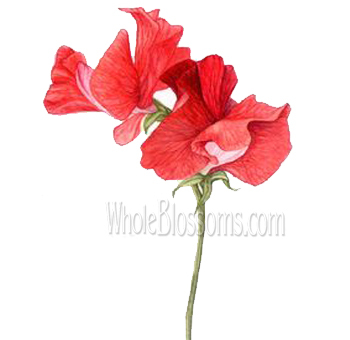 The sweet pea blossom is a famous flower known for its beauty and scent. A picturesque species, they are adored in gifts and bouquets. The sweet pea flower was very popular in Victorian gardens for its sweet fragrance. The flowers have an entrancing shape and lovely quality! These flowers are perfect for home décor and gifts to loved ones. They work with a large number of flowers and colors and can be used in many contexts. The sweet pea plant is native to Sicily, Italy, Cyprus, and the Aegean Islands. It is a climbing plant, which means they grow over canes and fencing easily. Their stems and thin yet durable, and their leaves twine in beautiful curls. 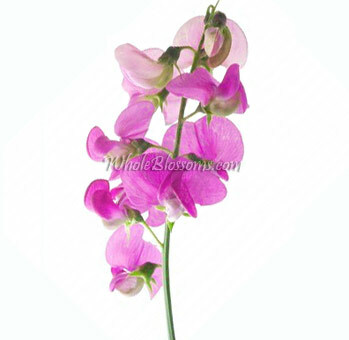 They are one of the reasons why the sweet pea flower has such a lovely and delicate look. The sweet pea flower itself is lovely. When the sweet pea blossoms are bunched together, they have a voluminous look. This is because of its petals which curl and spread widely in bloom. They grow up to 4cm broad in the wild. But at florists, the sweet pea flowers will be much broader. 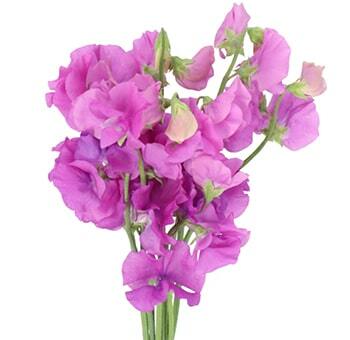 They have a large number of pastel shades which is one of the sweet pea’s best characteristics. They come in shades of red, yellow, white, pink, and purple. Their texture resembles watercolor brush strokes, which look very picturesque.Not all sweet pea flowers are fragrant. Nevertheless, each flower is beautiful. They stand for charm, bliss, and pleasure. The Victorian was very fond of them in their gardens. 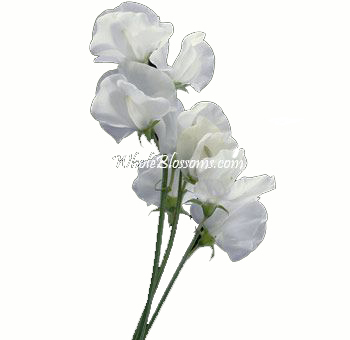 Sweet pea blossoms are also used as a token for farewell and departure. In weddings, the sweet pea symbolizes a good omen. It means that the bride can power through any obstacles. It also symbolizes purity. 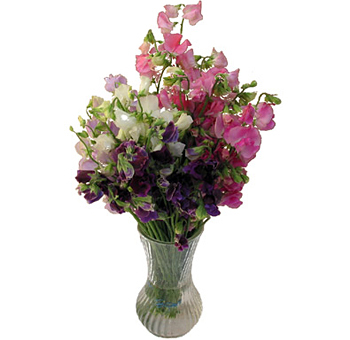 The sweet pea flowers are also used to gift to someone as a sign of appreciation. If you wish to thank a friend for a favor done, these flowers are a good choice. They also stand for tenderness and affection, so gifting these to siblings and close relatives is also another great idea. The sweet pea flower is very pleasing to the eye. Since they are unique to weddings, they are often used in bridal bouquets. The white sweet pea color looks stunning with deep-pink peonies and baby-pink ranunculus. 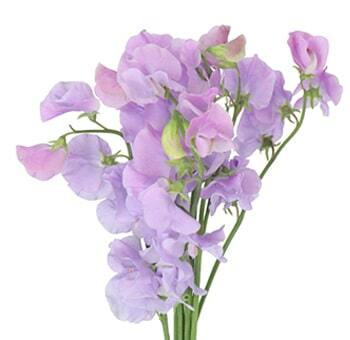 Different pastel shades of sweet pea flowers will go beautifully with white roses. Using white sweet peas with several shades of lavender and purple will look amazing. Adding icy-green foliage to the bouquet will emphasize the look. The purple sweet pea color is a pale watercolor wash. Theseare used together with the white and pink sweet pea color flowers. They’ll look amazing as an independent flower arrangement! Using sweet pea blossoms in a cluster brings depth to an arrangement. It is perfect for artsy events and the outdoors. Sweet pea flowers will look brilliant with just about anything. 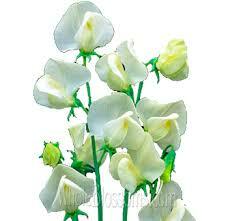 You can use them with tiger lilies and trumpet lilies where sweet pea blossoms will complement thebigger flowers. 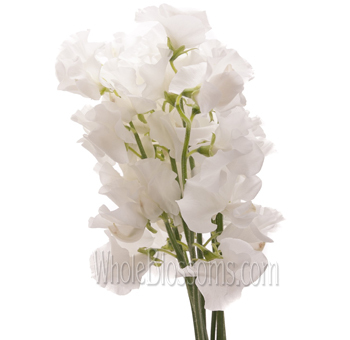 You can use the sweet pea with freesias to make a soothing bouquet. Or use them with dahlias and zinnias to bring out the brighter colors.Theirwatercolor texture and small size make sweet pea flowers a delight to use. They are not loud or bold, instead of soft, inviting and complementing. They will work with a great many combinations of flowers and colors. The red sweet pea color is vibrant and works with pink sweet pea flowers very well. They will create a rustic look for a cottage set by a garden or the forest! 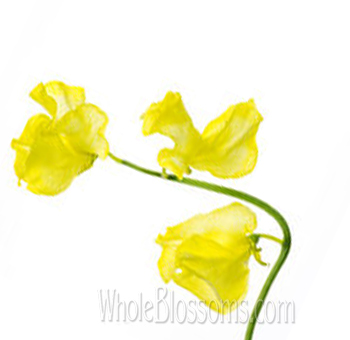 The yellow sweet pea color flower is very popular with tulips and dahlias. They match with blue, purple and orange flowers. So you can get both autumn and spring emotions from this kind of mix bouquets. Depending on how they're used the sweet pea flowers will create any number of themes. If you need them to work in a chic setting, you can just set them with pale and white colored lilies and irises too. That's the beauty of the sweet pea. They complement other flowers, and they're extremely flexible in context. Use these to gift to friends and family! It'll surely be appreciated. 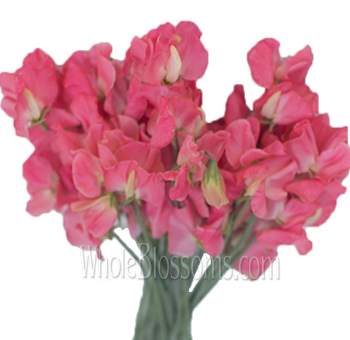 The sweet pea blossoms are lovely to have in your home as décor, are great gifts to friends. They also are very meaningful in weddings. 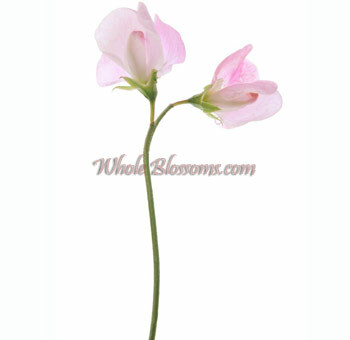 If you’re wondering where to find sweet pea flowers for sale, you can order from Whole Blossoms. They are very experienced florists who have been catering to weddings and homes with high-quality flowers. They offer online services and deliveries to your doorstep 24/7. The sweet pea flowers do wonders to your mind and home. Don't wait to experience their wholesome beauty. 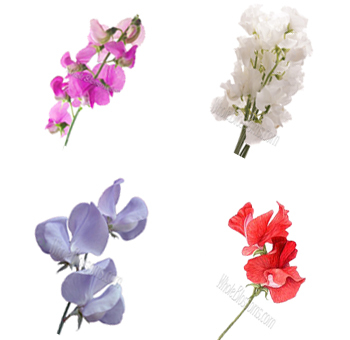 Get a bouquet of sweet pea flowers right away!